I love to eat avocado so much, not only because it’s so tasty but also because it’s great for my body. Avocado is loaded with anti-inflammatory fats, vitamins like B, C and E, and so much more. 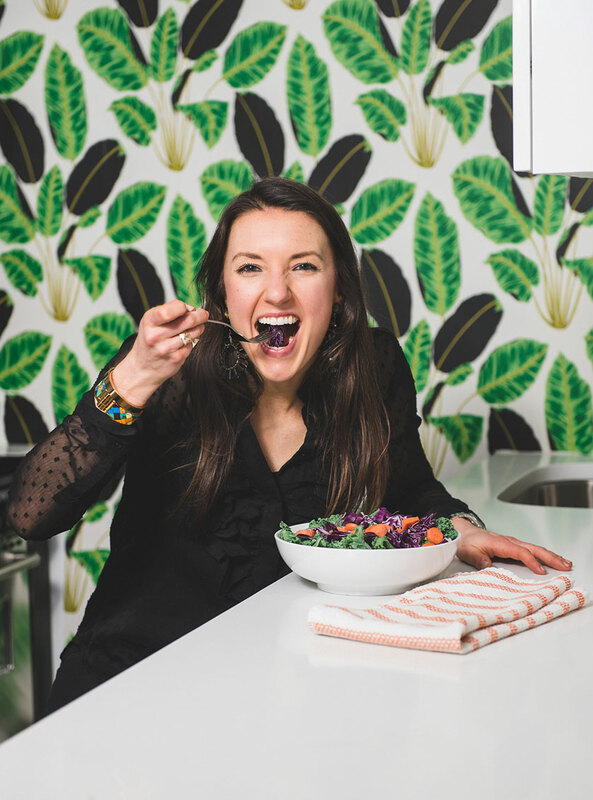 Today I decided to do more than just eat it, instead I decided to put it on my face- and what a good decision it was- my face loved it! 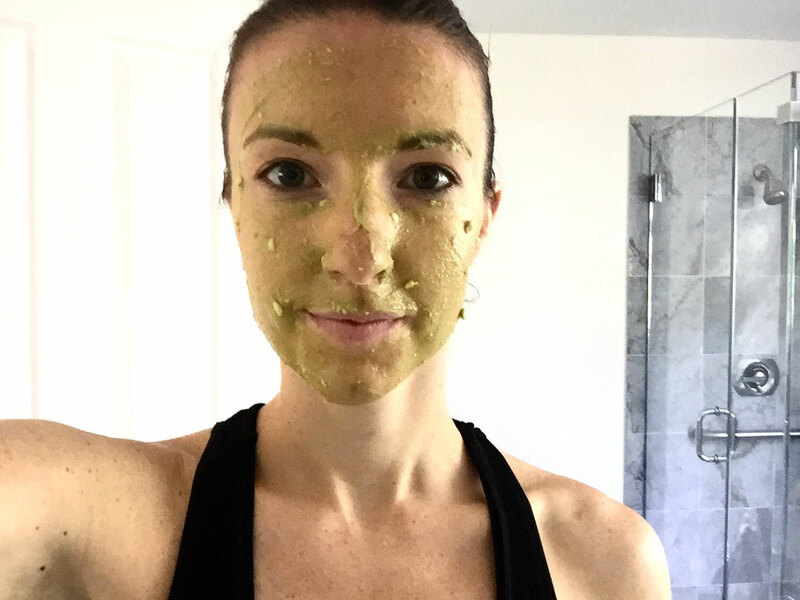 This easy-to-make avocado face mask is easy to make and I promise your skin will love it. The avocado is loaded with moisturizing and anti-inflammatory properties, the lavender essential oil is cooling and soothing, the lemon is refreshing and the honey not only helps to hold it all together, but also contains anti-bacterial properties that will help to leave your face feeling clean and refreshed. Get a small bowl ready. 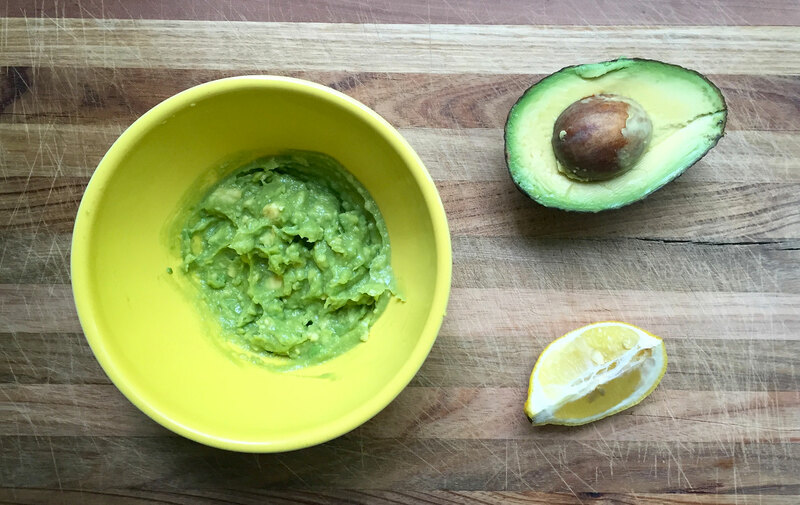 Add the avocado, essential oil, honey and squeeze of lemon to the bowl. With a fork, mix the ingredients until well mixed (you can also put the ingredients into the blender for a really smooth consistency). Apply mask to face- and share the other half with a friend, and leave on face for about 10 minutes. Remove with warm water and towel dry. would this be safe for a 5 year old? would like something like this for my granddaughter who has a little bit of eczema. I wouldn’t say that this would be great for a 5 year old- the lavender essential oil may be strong for her delicate skin- you could try on a small patch of her skin on her arm before her face the recipe just avocado, a little lemon and the honey – I would leave out the lavender! I hope this helps thank you for your wonderful comment.